put into a pot. 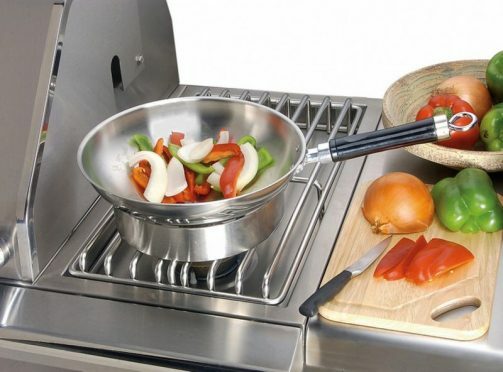 Built from all commercial stainless steel with heli-arc welded seams, the side burner features two high-performance burners with electronic ignition. 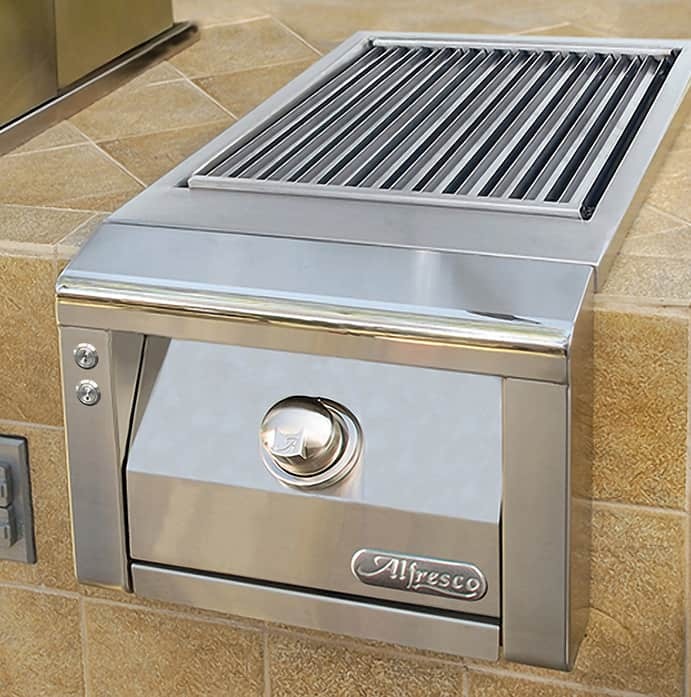 The recessed top and stainless steel cover offers protection from wind and elements. The Sear Zone™ side burner is our ceramic infrared searing system in a convenient, self-contained unit. 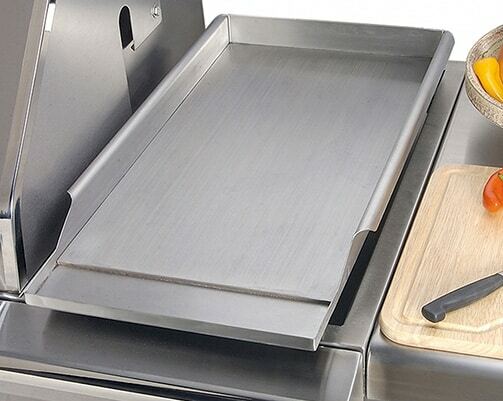 3/16″ solid stainless plate with side and backsplash. 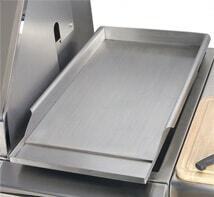 Great for teppanyaki, fajitas, breakfast, or juicy burgers. 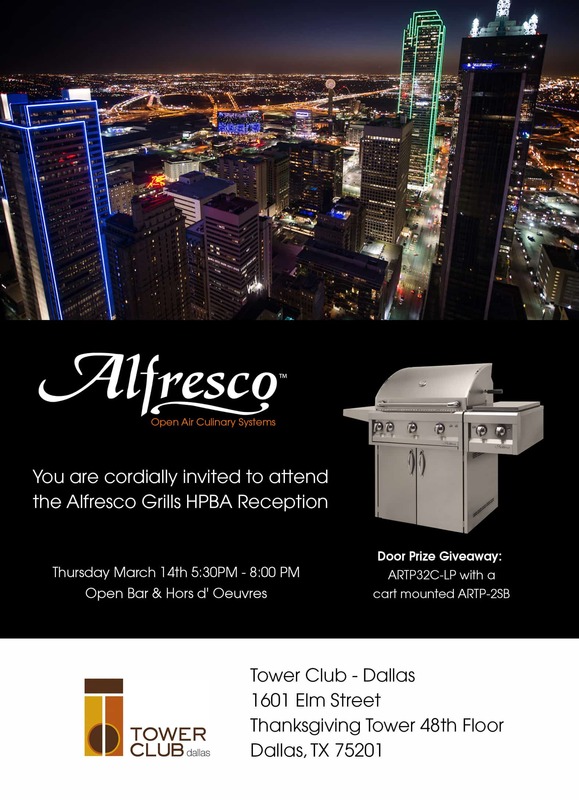 For use on the side burner or on the grill. 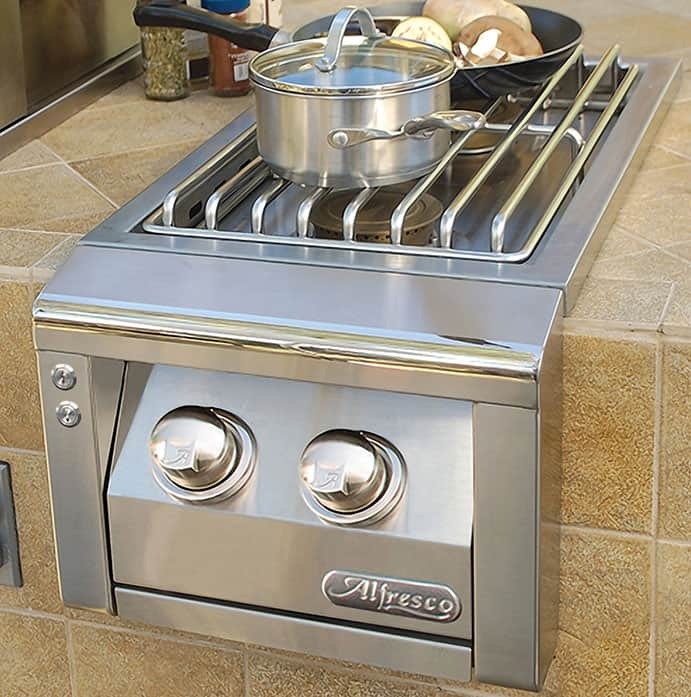 *All side burner units with a serial # starting with “18” have 110 VAC ignition system and “control knob accent lights”. 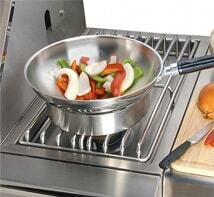 *All Sear Zone™ units with a serial # starting with “18” have 110 VAC ignition system and “control knob accent lights”.